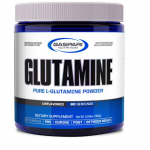 Utilizing only ultra-pure L-Glutamine with no synthetic colors or fillers, Gaspari Nutrition’s GLUTAMINE is your solution in amino acid support. 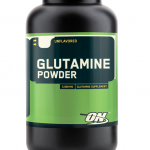 Whether you are strength training or pushing yourself through long aerobic training sessions, glutamine can help support one of your body’s most abundant amino acids. You can rest assured this product is made with only the highest quality in mind. Because L-Glutamine may support muscle recovery from exercise, each serving of our Glutamine Powder provides 5 grams of pure L-Glutamine, and because it’s unflavored, you can mix it right into your post-workout protein shake. 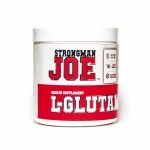 L-Glutamine is a conditionally essential amino acid that is most abundant in our muscles, but gets rapidly depleted under conditions of exercise or stress. Hence, Glutamine acts as a powerfully anti-catabolic amino acid in fighting stress and improving recovery after intense training.